Welcome to The Purple Store!! Email: Join now for occasional offers and new product alerts! More The Purple Store, More Purple! This is your store. We gladly work our tails off finding and making more items for us all to enjoy. We humbly thank you for shopping here and sharing us with your friends. Our Most Popular Items this Week! Gift Certificate for The Purple Store! See more shoes and socks. 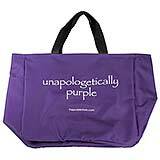 See more on our Purple Luggage. 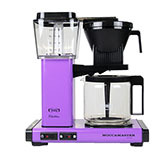 For coffee lovers, also check out our purple mugs. For those who love the color, it's everything. It means passion, individuality, style. Originally accessible only to wealthy nobles, it remains a symbol of distinction. Shopping for yourself or a friend? Welcome home. Over 1,100 purple items. We find the true color items so you can trust it won't arrive pink or blue. We famously reject dye lots that don't match. We build community. 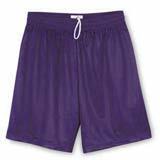 We leverage your voice with manufacturers to make new things in purple for us all. And, in a perfect world, fun things like this should grow and make more people happy! Thank you!